Have you always wanted to play for the ViQueens? Or always wanted to give rugby a go? 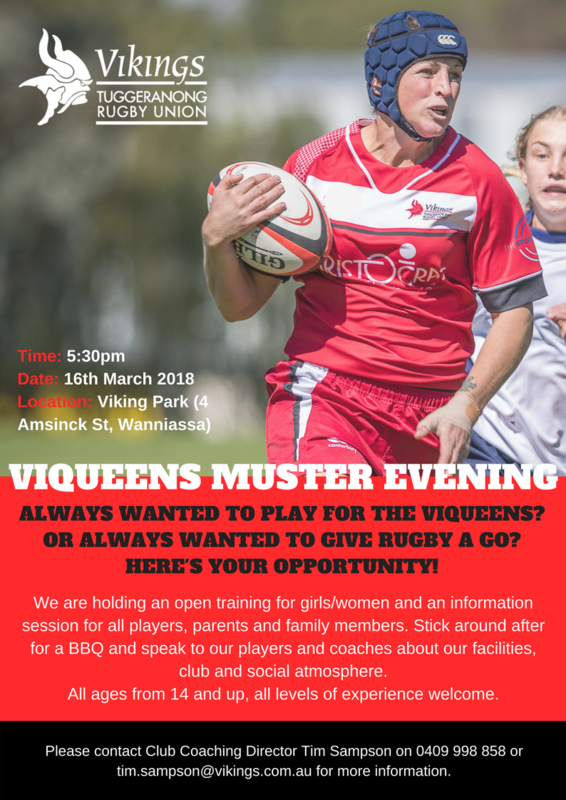 We will be hosting a Muster Evening on the 16th of March from 5:30pm, to welcome all new and existing ViQueens to the club. The session is open to everyone over the age of 14, all levels of experience welcome. The session will consist of an open training , information for players, parents and family members and a BBQ after to speak with other players and coaches. If you are interested in attending please contact Tim Sampson on tim.sampson@vikings.com.au.